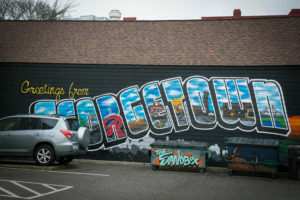 Just three miles south of downtown Seattle, Washington the Georgetown neighborhood still retains the artsy, irreverent, funky feel of “old” Seattle — before the tech boom transformed neighborhoods further north like Fremont, Capitol Hill, and Ballard. 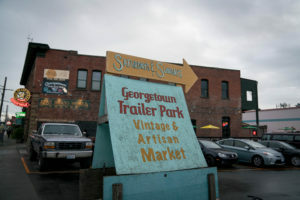 Historic bars, restaurants, and music venues line Airport Way South, along with artist’s studios, fun stores, and even a shopping ‘mall’ composed of old house trailers. 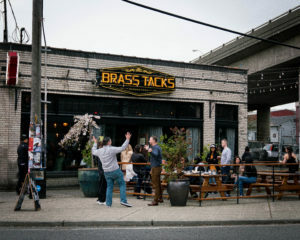 At Brass Tacks restaurant and pub, you can practice your foosball skills or kick back and listen to live music while waiting for your dinner to arrive at this retro-cool space. 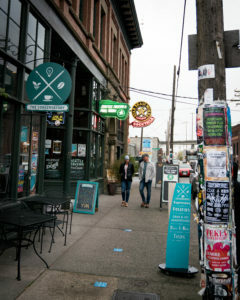 This hip hangout offers craft cocktails alongside an extensive happy hour and kid-friendly brunch menu, featuring a live DJ, often spinning vinyl. Dine inside or out on their patio! 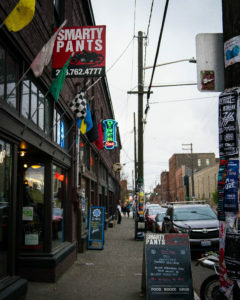 Smarty Pants is a warm neighborhood bar & grill with great scratch-made pub food and exciting motorcycle racing on several TVs. 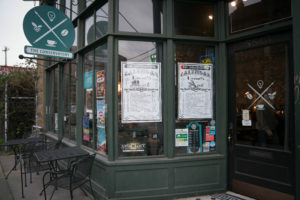 Think delicious grilled sandwiches, homemade soups, vegetarian and vegan options including Field Roast, a fresh and natural grain meat. If you’re a fan of vintage or sports bikes, this is the place to go. -Join them for Bike Night every Wednesday for racing and shows on the big screen! It is one of the few places in town where you can get great food and a local brew until midnight every night (except Sunday). They’re also open for brunch! 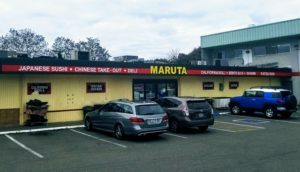 Maruta Shoten is an authentic Japanese grocery and deli that serves up delicious, fresh sushi every day, at incredibly low prices. The hot food and best puppy food counter is awesome too. 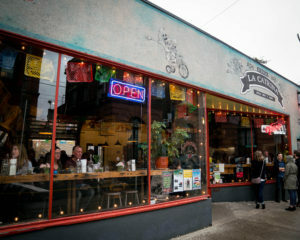 Fonda La Catrina is the place to go for some of the finest Mexican food in Seattle. 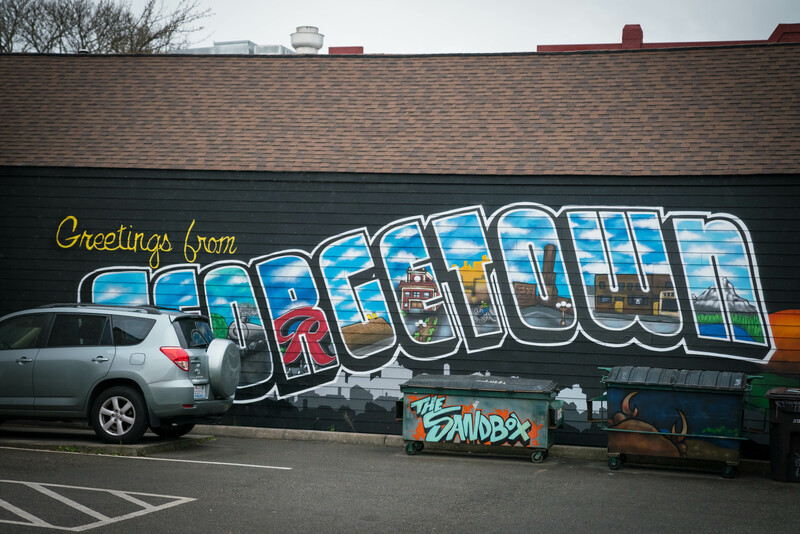 The Georgetown Trailer Park Mall is open every weekend, rain or shine. 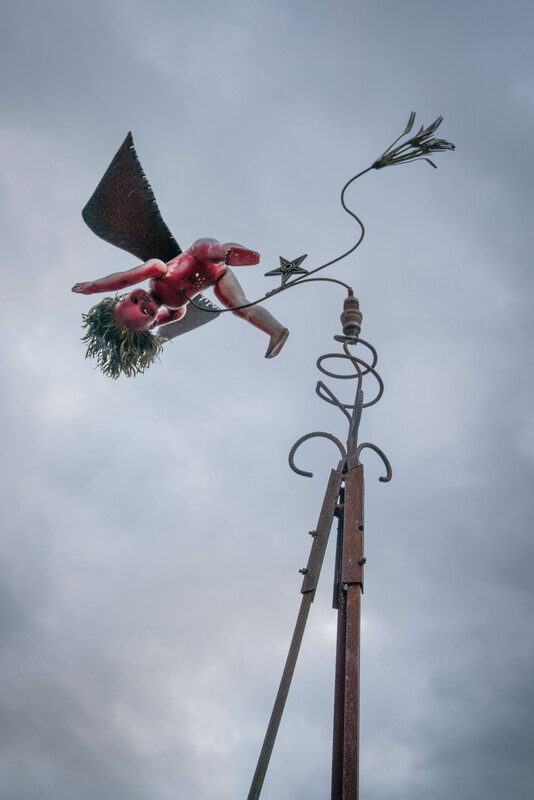 Quirky art is everywhere in Georgetown, along with many studios where you can see working artists sculpting, painting, potting, casting and welding new works. 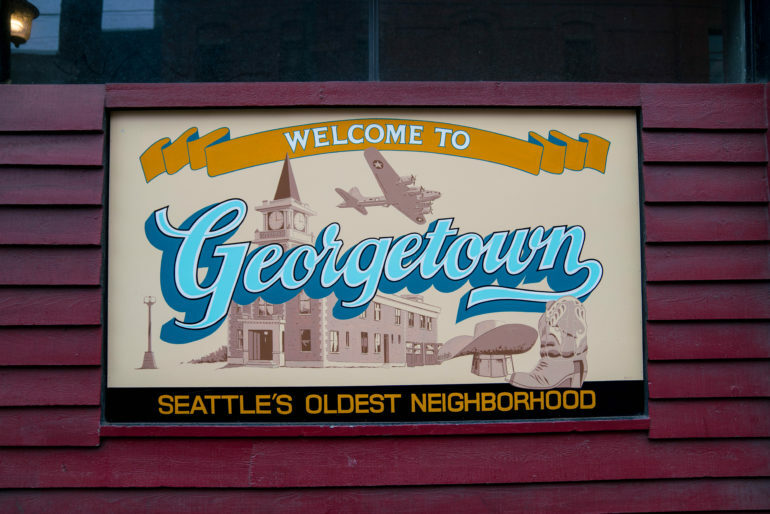 Georgetown is like nowhere else in Seattle,and it’s just a 15-minute #HelloYellow ride from downtown hotels!